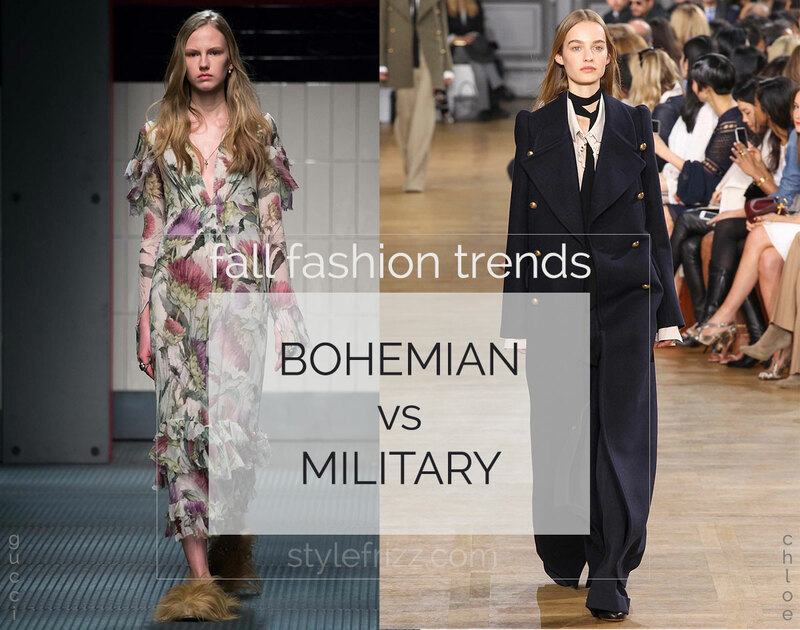 Out of the many style suggestions and catwalk models proposed by the talented designers for the Fall/Winter 2015-2016, let’s narrow it to two timeless approaches: Bohemian and Military! 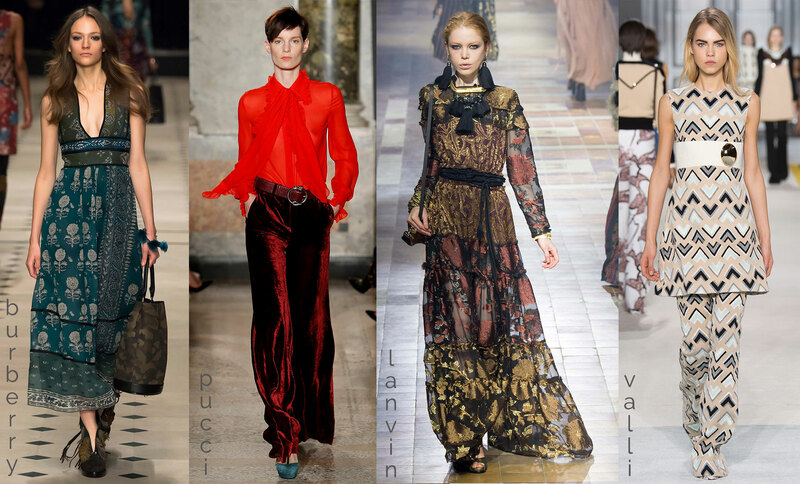 The 70s keep haunting the catwalks for two years now and they seem to be here to stay. 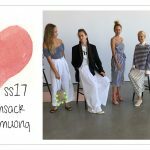 Flared trousers & Jeans, layering dresses over trousers or bohemian tailoring will be your trend-friends throughout the season. 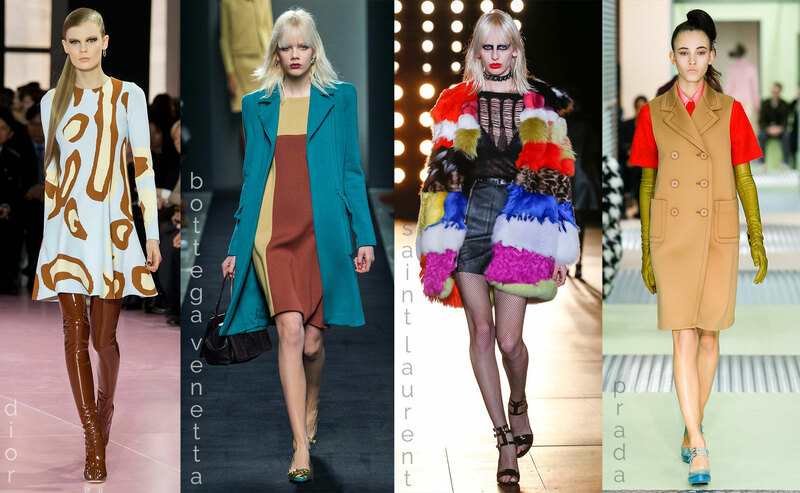 See also: Fall Winter 2014-2015 trends, to review and compare! Keep nature-inspired colors & all-denim looks close but you can also play around with electric combinations or accents – chances are you already have a tweed trouser in your wardrobe! Pair it with a bow neck shirt or a fur-collared jacket and you’re good to go! For the accent accessory this season, think fringes. 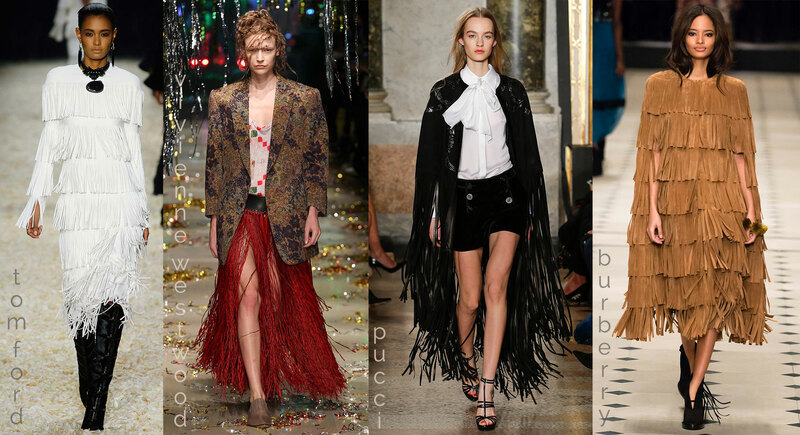 Tasseled dresses, earrings, bags, shoes, fringed capes, you name it, just fringe it! See also: How to DIY this season’s hottest trend: tassels earrings inspired by Lanvin FW15! Always there, always stylish, a strong, the masculine-inspired tailored jacket and coat have been faithful companions throughout the cold season. 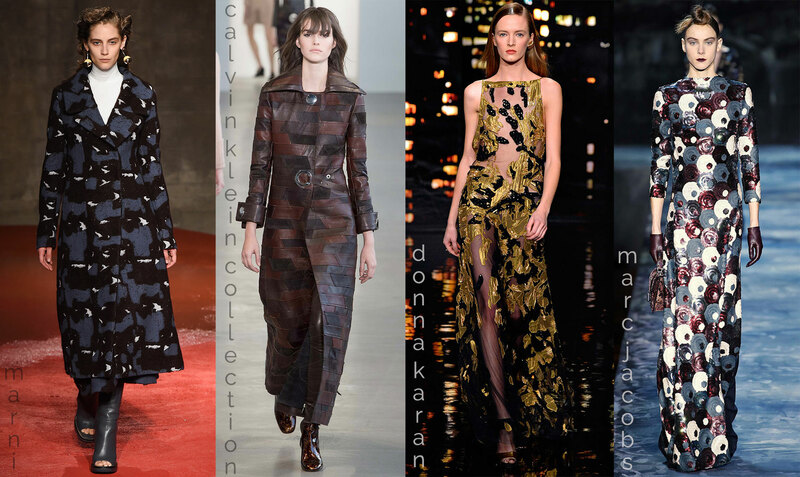 The fall/winter 2015-2016 makes no exception as all designers received the same stylists books which indicated that each collection has to have a military style item! See also: How to DIY pompoms bracelets inspired by Burberry FW 2015-2016! As such you’ll find long coats, bouffant pants tucked in high boots, aviator-like jackets and camouflage patterns all over the world’s catwalks. 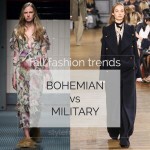 It’s a trend we’re happy to embrace as we’ve all amassed a nice stack of military inspired clothes over the years it’s been on-and-off fashion. Basically every fall you’ll notice an abundance of khakis and leather with faint touches of fur, knits and plaid. …especially fur! 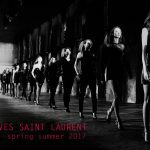 It’s on every catwalk, in every collection! 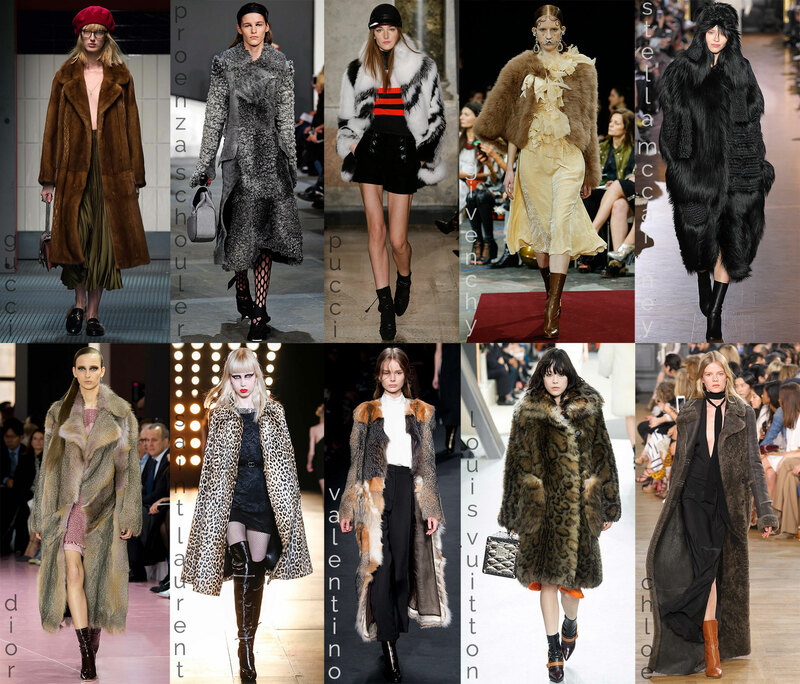 Natural fur, ethically correct fur, mindful fur, long, short, printed or naturally mimicking the wild patterns, fur coats were strongly represented in this season’s collections! 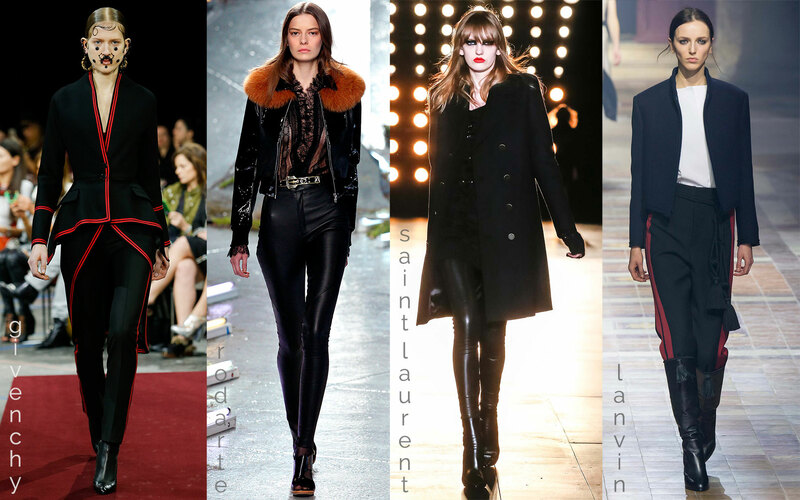 See also: Heavy wardrobe inspiration from off-duty models fall-winter looks! 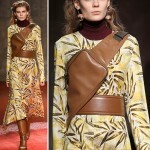 Militar for me, no doubt, as it is well structured. I look like a homeless in bohemian, even if is expensive. I thought you would favour bohemian, dont know why… perhaps by your picture? or by the nature of the posts … dont know. I LOVE your hairstyle by the way, I always wanted to comment on it .